Lebanon needs Ron English. Drive anywhere in the country and have your view blocked by a billboard jungle ordering you what to wear, buy, drink and eat. And the jungle continues to grow every day. Bring on Ron English who, with his oil paintings and billboard hijackings, has fought for decades against the pollution of the human mind and public space by corporate messaging. Ron, you’ve “liberated” some 1000 billboards in your life. What did billboards ever do to you? How do you do it? How do you liberate a billboard? They say Goebbels died in 1994, yet he seems alive as hell. What do you say? What’s the genius of Andy Warhol? What is a pop artist to you? What you think of someone paying some $25 million for a polished steel heart by Jeff Koons? 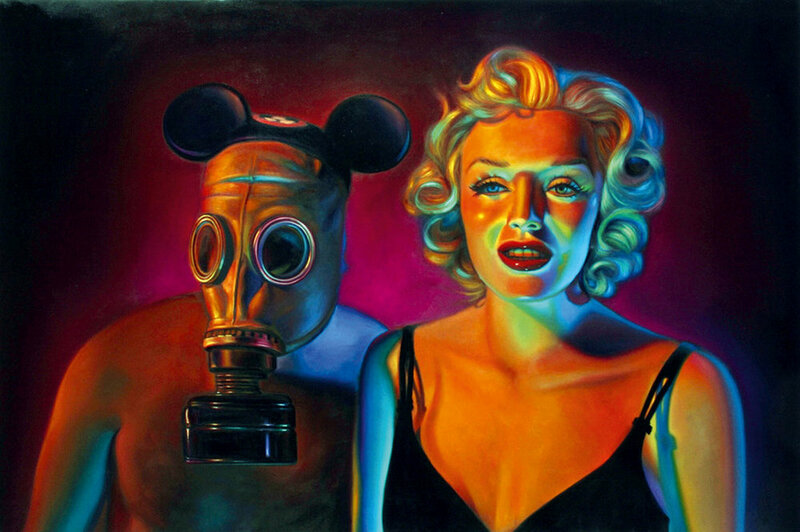 Has pop art fallen victim to the same system of mass production and commercialization it once set out to criticize?